Maharashtra decided to revoke the ban on plastic bottles, providing some relief from its earlier decision to curb environmental damage from the non-biodegradable material. But on one condition. 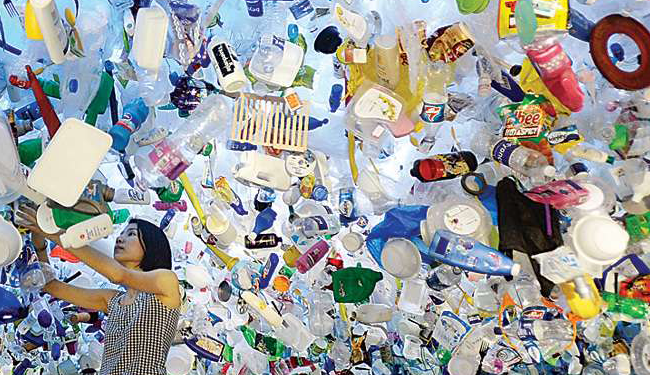 All manufacturers have to establish a recycling chain by setting up reverse vending machines and tie up with recyclers, a senior official from the environment ministry told BloombergQuint. The state, the largest generator of plastic waste in India, had on March 23 banned use, purchase, sale, distribution and storage of single-use disposal plastic, items made from thermocol and polyethylene terephthalate and polyethylene terephthalate esters bottles of less than 0.5 litres. For other bottles, including those used for water and beverages, consumer have to pay more upfront and get refunds of up to Rs 2 on returning them at deposit centres. The state also plans give consumers and traders more time before implementing the new norms, the official quoted above said. Instead of one month, manufacturers, retailers and traders will be given three months to dispose of the existing stock. Similarly, local bodies will be given three months, instead of one, to arrange collection and transportation and scientific disposal of banned plastic bottles.